Because We All Want to Know the Score! Search Reviews Find a Wine...Fast! As I'm heading back to fair Verona next week, the city is forefront on my mind. 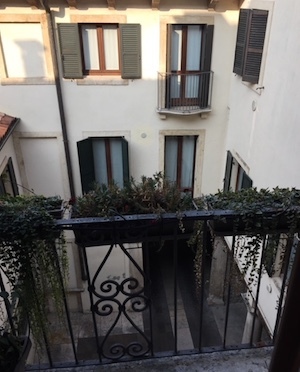 Last year, I had the opportunity to stay in the most charming suite, only moments away from the Arena and Piazza Bra, and the well-trod shopping street of Via Mazzini. Thumbs up to that. 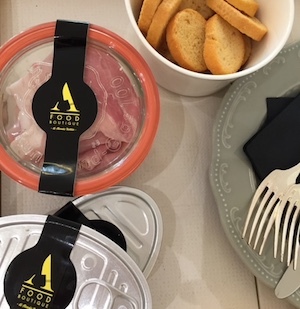 Massimago Suites are housed in a historic family residence on Stradone San Ferme, which has been completely refurbished in the most modern yet charming way. 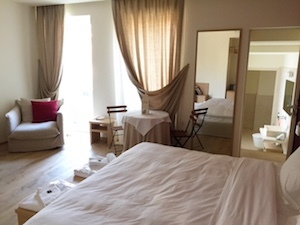 Light coloured wood, soft, well-placed lighting, and natural fabrics make Massiago Suites a true oasis; far more intimate and warm than most hotels. Plus, the walk in showers and contemporary bath facilities, will have you dreaming of renovating your own. Massimago's own Valpolicella wines, while delving into gourmet snacks. As for those wines, that particular property is located in the countryside, in Mezzane. The family's viticulture history began in the late 1800s with the Cracco family. Winemaking only returned in recent years, re-imagined under Camilla Rossi Chauvenet (Rossi Chauvenet's mother is a Cracco), who is one of the most lovely people I've ever met. She is a philosopher of sorts and makes pristine and honest, sustainable and organic wines. The name Massimago hails from Latin, and means, maximum benefit, a nod to Rossi Chauvenet's vison. 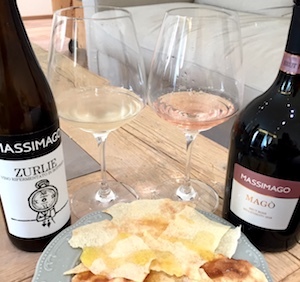 Her traditional Valpolicella reds and Amarone are supplemented with utterly delightful white Garganega and bubbly wines; the sparkling Mago Corvina is a favourite of mine, as is the fizzy and racy Zurlie, an adorable quaffer under crown cap. These wines differ from what many of us have come to expect from Valpolicella, and yet they are precisely what you need to experience--to see the scope of that the region is capable of. I've no doubt I'll be tasting these wines again next week, among hundreds of others. I greatly look forward to the revisit; a return to the city, the region and of course, the wines. 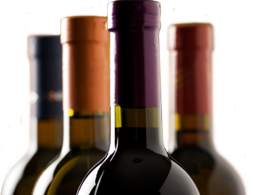 WineDiva.ca was launched prior to WineScores, in February 2004. WineDiva is the alter ego of Daenna Van Mulligen. She wears a cork tiara and is proof that a girl can have her w(h)ine and drink it too! WineDiva.ca is a tongue-in-cheek approach to a very serious passion for all things wine. WineDiva’s goal is to make wine fun, subtly educational & deviously inspirational. Vintage reciting wine snobs need not apply. WineDiva is painting the wine world pink and drinking it all in, and her glass is always (at least) half-full. WineScores is the more serious follow up to WineDiva.ca. WineScores was born from the demand to see wine writer Daenna Van Mulligen provide scores on her wine reviews. These are numerical scores based on a 100 point scale – an internationally recognized form of rating wines. These numbers provide a snapshot for consumers on how the wine reviewer views the overall quality of the wine. For more information on scoring wine, go to “about”. We do not share your email address with anyone. Your email address will be used for the WineDiva newsletter You can opt out of receiving the newsletter anytime.